Note from Celes: Hi everyone! Following my 2016 year end review, I thought to update this post so that you guys can get started on your year end review too. How was your 2016? What are your goals and plans for 2017? This post will get you started. 🙂 Enjoy, and let’s set big goals for this year! Hi everyone! 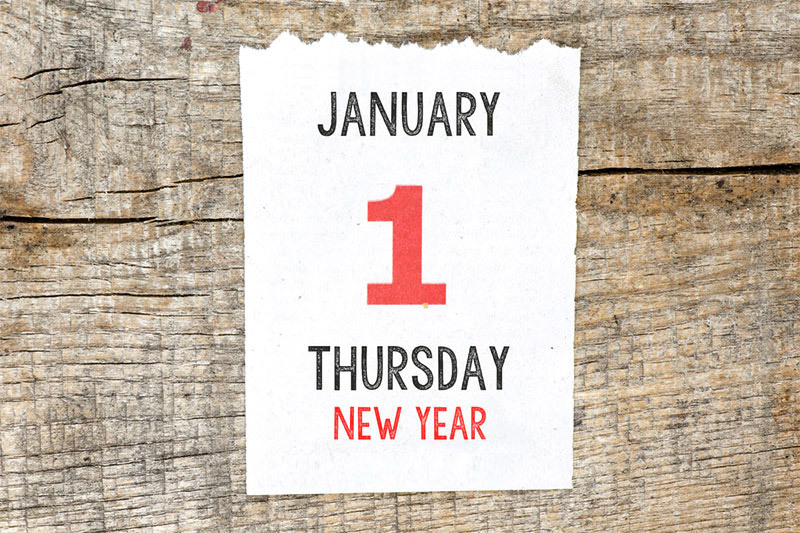 The year is coming to an end, and soon it’ll be the new year! 😀 Are you ready for the new year? Are you ready for a year of excitement and new challenges? Before we welcome the new year, let’s do a year end review. Long-time readers would know that I do an annual year end review at PE, and it’s something that I look forward to in excitement. 🙂 I first started doing annual reviews in 2007, and today I do it both for myself and with my coaching clients. To me, doing an annual review is like getting your report card. I remember back in school, I would be excited when it was time to get our results, especially if I had prepared for the exams and gave them my all. It’s the same with my year end review… except that these results aren’t for my studies — they’re bigger. They’re for my life. Likewise, doing your annual review is about your life. In this post, I will guide you through your year end review. What did you experience this year? What have you learned from them? Every life experience brings along important life lessons. While we can let these incidences pass us by, it’s much more important to understand them, process them, and identify learning points. Life is like a school, and its lessons are often dressed up in our circumstances, the problems we face, and our failures and victories. Rather than live year after year without learning anything — which is no different from sleepwalking — I encourage you to actively think about what you have learned and gained for the year. This small shift in mindset led to a big shift in my reality — I became much more proactive and solution-oriented. I subsequently realized that many of us create so much unnecessary baggage when dealing with life’s circumstances, when it’s about taking action to create the lives that we want. Happiness is truly a choice. Because I write down what I learn in my life handbook, I get to build on my lessons every year. Rather than loop through similar circumstances or linger on in problems, I would think about what I have learned and react differently, in a way that breaks me out of the problem. This has helped me move quickly in my growth every year. Many things can happen in a year and this is the perfect time to round them up. What happened this year? Did you face any ups and downs? Did you get a promotion? Did you recently quit your job and join a new workplace? Did you just start a business? Did you move to a new place? Did you end an unhappy relationship? Did you end a bad friendship? Did you move on from a bad partnership? Did you get some breakthroughs? Did you welcome a new birth? Any major events that happened? Or perhaps nothing significant happened? This is the perfect time to wrap up the year. If there was any unhappiness this year, time to trash it all out. If there were any happy events, it’s good to review them and feel gratitude. This is the time to tie up loose ends, get resolution to open problems, and get ready for what’s ahead. After working for a few years, you’ll find that the years sort of blend into each other. Soon, it’s hard to tell one year apart from the next. Subsequently, it’s easy to fall into a routine without being conscious of it. Sometimes I hear my friends commenting that they’re not sure what exactly they’ve been doing with the past few years of their lives, because everything seems like the same. It’s just like driving. When you’re driving, it can be hard to see where you are and where you’re heading to, since you’re stuck in the driver seat, only seeing what’s right before and after you. You start to get a myopic view after a while, and small problems can get magnified when they may be, well, just small problems. Like I mentioned above, doing my annual review is like getting my report card for my life. How do I grade my performance this year? Do I give myself an A+? A? B? C? D? Or even an F? The objective isn’t to berate ourselves or beat ourselves up. It’s to let us know if we have lived this year the best we can, and if not, what we can do to make next year better. Last but not least, your annual review helps you start the new year on a high note as you’ll be setting your new year goals. For the year 2010, my one single biggest goal was to build my site traffic for PE. While I had many other goals, they were secondary to building my blog. Because I had that goal, I was a person on a mission while others were still figuring out what they wanted to do and filling their time with empty activities like checking Facebook and binge-watching videos, because they had not set their focus. By mid-2010 I had already exceeded some of my goals, and by year end I had accomplished what I had set out to do, and more. Having such focus helps you make the best out of your days, weeks, and months. We may have one of the longest life spans among mammals, but when it gets down to it, 60-70 years on earth isn’t really long. Today’s modern world is structured such that we spend most of our lives working to fulfill others’ goals and earning money so that we can use whatever little time we have to achieve our goals. If you don’t take charge of your agenda, it’s easy for years to pass by without accomplishing anything on your list. What’s more, none of us can guarantee that we can live to our natural life span. There are always accidents, diseases, and illnesses. One moment we can be here, the next we can be gone. Let’s get started on your year end review! Take out your life handbook, or if you don’t have one, get any notebook or blank piece of paper. If you have a blog, you can copy the questions and answer them in a blog entry. What are your biggest accomplishments this year? Accomplishments here refer to any results you are proud of. Having a kid, graduating from high school, changing to a new job, getting married, making new friends, and being in a new relationship are all considered accomplishments. What are your biggest lessons this year? On a scale of 1-10, how satisfied are you with how you have spent this year? (If you prefer giving grades, what grade would you give yourself for how this year turned out, between an F and an A+?) Why? If it’s now Dec 31 of next year, what do you want to have accomplished? What would it take for you to feel 10/10 in happiness at the end of next year? What new habits can you cultivate to help you achieve your goals in question 4? What are your immediate next steps to achieve these goals? Take as much time as you need. These are the very same questions I use for my annual review, so I’ve no doubt that you’ll find them useful. 🙂 Feel free to skip or add questions as you like. If you want, start with questions 1-3 first which are reflection questions for the year. Spend a couple of days to think about them before moving on to questions 4-6, which are about the year ahead.